A year ago, when Apple rolled out the iPhone X, one of their most touted features was facial ID. You no longer needed to press a home button or use a passcode. You could unlock your phone with your face. It was the first time I’d really seen facial recognition software being practically used. You probably use something every day with facial recognition software even if you don’t realize it—I’m looking at you Snapchat and Instagram face filters. Facial recognition is actually becoming a usable reality and not in the scary way we’ve seen in sci-fi movies. It’s now in several consumer tech devices. Almost every major phone company has a phone with some form of facial recognition built in. Companies are even pitching it for ideas from policing to retail. So how long will it be until we see it everywhere? As more companies realize how convenient the tech is we’ll likely see it more often. Let’s discuss the current opportunities companies are seeing and what roadblocks we must overcome to get us to the ubiquity of facial recognition software. Facial recognition is doing some amazing things when it comes to security. From airports to retail establishments, this tech is taking the customer and employee experience to new heights. Recently, at the Washington Dulles Airport, facial rec technology caught an imposter trying to enter the United States on a fake passport. The passport may have passed at face value with humans and without the technology present according to federal officials investigating the case. The biometric technology was just three days old when the individual was caught, cementing its usefulness. This use is just one of the many new uses for facial recognition software. In fact, the others uses might surprise you. Preventing crime in retail: Facial recognition software is being used to instantly identify known shoplifters after they enter a retail store. Photographs can be matched against databases of criminals to alert loss prevention and security professionals. This tech is already reducing crime in these locations drastically. Mobile phone security: As I mentioned above, mobile devices like iPhone X, Google’s Pixel 2, and Samsung’s Galaxy Note 9 all come with facial recognition installed as the unlock feature. You don’t have to worry about someone stealing your passcode to get into your phone. Advertising: As if your marketing team didn’t have enough updates to make, facial recognition could be next. Companies are installing screens at gas stations that have this technology built-in. This helps to target and personalize the customer experience by guessing age and gender for tailored ads. Helping the missing: Facial recognition is the perfect tool for finding missing children. Added to a database, individuals can be recognized and then local enforcement can be notified immediately. Companies such as are using facial recognition to help the blind look for social cues such as smiling. Helping the Impaired: In what will probably go down as the one of the best—and most emotional—ways to use facial recognition, Listerine created an app a few years ago that helped blind people know when they were being smiled at. When the app detected a smile it would vibrate letting the user know. Smiles are probably something you take for granted—I know I do! Social Media: When was the last time you uploaded a group photo to Facebook? Did the social giant correctly guess who your friends were in the picture? You can thank facial recognition software for that. There are many other uses that could be added to this list. For facial recognition, the opportunities are endless. But to get us to a point where it’s a part of our daily lives, we still have a few roadblocks to overcome. Facial Recognition Software Roadblocks: What’s Holding Us Back? Unfortunately, some facial recognition software programs haven’t had smooth sailing after debuting. A few programs, including Amazon’s Rekognition face-identifying software have been the perpetrator of racial biases. In July, a facial recognition software sold by Amazon mistakenly identified 28 members of Congress as people who had been arrested for crimes. The test misidentified people of color at a high rate, 39 percent. Unfortunately, because of this error rate, facial recognition has a little ways to go before it is readily usable for all. And to make matters worse, no real answer has been created to solve this issue. In order for the tool to be used effectively by law enforcement and other entities, the bias has to be eliminated. Facial recognition also walks the fine line of convenient and creepy. Some companies are pitching it as a retail solution, where, with the addition of barcode scanners, you’re tracked around a store and you pay with your face. It sounds convenient, like the Amazon Go store in Seattle, but it could become an issue if the facial data is sold to outside companies. Companies that use this technology would have to develop an ironclad privacy agreement and be fully transparent with customers in order to secure their trust. 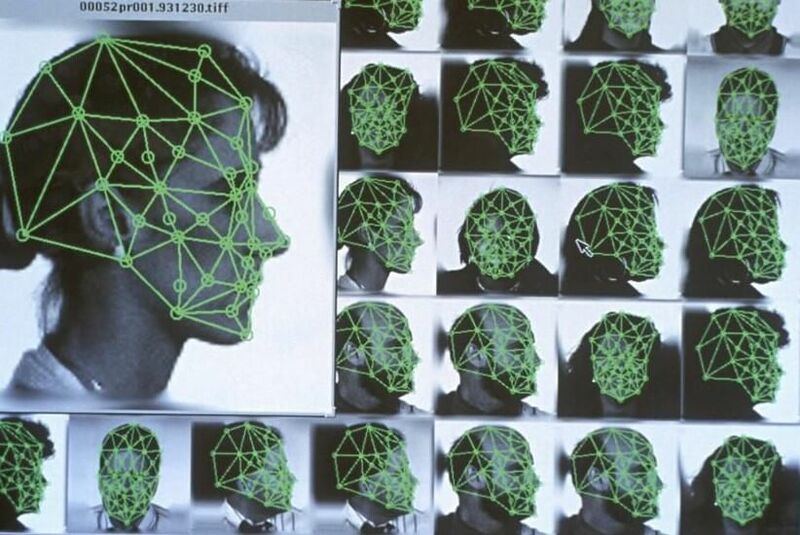 Facial recognition is coming and it may not be far off. With its many uses and potential opportunity, there’s a lot of growth coming. It’s easy to see how convenient this technology will make our lives, but before we can embrace it fully companies will have to overcome the obstacles in the way.